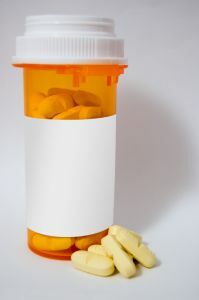 Our Boston injury attorneys know a products liability lawsuit may involve multiple defendants who participated in the manufacture, advertising, distribution, and retail sale of the medication. Hardin v. PDX, Inc., an opinion from the California Court of Appeals, involved a plaintiff who experienced a complete and permanent loss of eyesight, along with extensive and painful scarring, after taking Lamotrigine. Lamotrigine is the generic version of Lamictal. The plaintiff alleged that Lamotrigine has been shown to cause Steven-Johnsons Syndrome (SJS) and associated toxic epidermal necrolysis. She further alleged that these conditions were responsible for her injuries. The plaintiff filed a negligence claim under a theory of products liability against the drug company, the doctor who prescribed the medication, and the retail pharmacy where she filled her prescription. She also sued the publisher that made the drug information insert for patients to read when they get their medicine. This information consists of warnings about the drug in the form of what is called a drug monograph. These monographs are not required by the FDA but are required as part of a self-regulating action plan, which is required by the federal government. In addition to the company that created the monograph, the plaintiff sued a software company that allowed the retail pharmacy to access the monographs on an electronic database and decide which parts of the monographs would be included in the drug insert. The pharmacy used the software to remove the “black box” that warned of a possible rash. This rash is what the plaintiff contends caused her blindness. The warning that was removed was supposed to be in all capital letters on the insert. A products liability lawsuit involving dangerous drugs generally asserts that a drug manufacturer knew or should have known that its drug was harmful, and the manufacturer failed to adequately warn patients and doctors of the harm. In a products liability case, it is also common to sue “upstream,” which means that you start with the point-of-sale where the dangerous product was purchased and then follow the stream of commerce up to the distributor and manufacturer. The reasoning for this is that multiple defendants are generally in a better financial position than a personal injury plaintiff, and they can fight it out amongst themselves to determine who should pay. In this case, the software company filed a motion to dismiss the case on grounds that it was engaging in constitutionally protected speech when conveying the warnings. The company used what is referred to as an anti-SLAPP statute to dismiss the case based upon First Amendment rights. The trial court denied the motion to suppress on these grounds, and the defendants appealed. On appeal, the court ultimately rejected the defendants’ anti-SLAPP claim, and the trial court’s early ruling was affirmed with respect to the denial of the software company’s motion to dismiss.